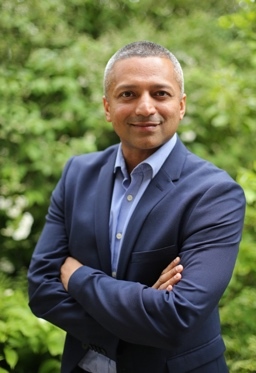 Manoj Ramachandran is a Consultant Paediatric and Young Adult Orthopaedic and Trauma surgeon and co-founder of Viz.ai, an artificial intelligence start-up focused on deep learning in healthcare imaging, his fourth business venture. 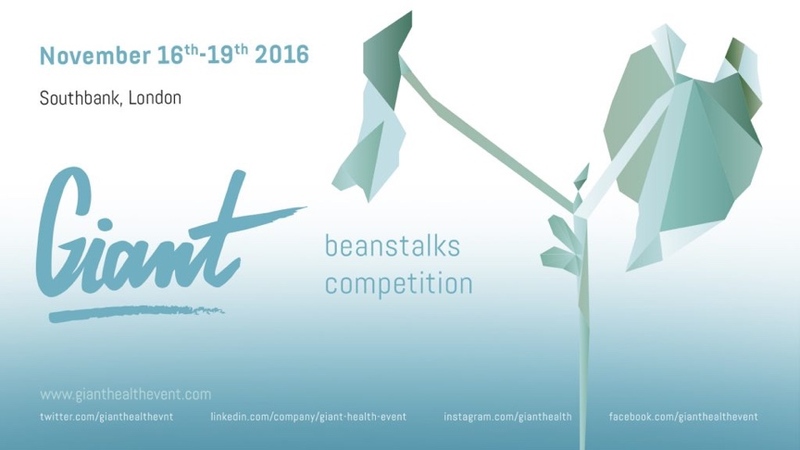 Manoj is also coordinating the Beanstalk Startup competition at the upcoming GIANT healthcare event, taking place in Southbank, London between 16th-19th November 2016. More information here and go here to apply. Firstly, can you take me through a typical week? Generally, Monday – I operate all day on children with bone and joint problems. Tuesdays involve wards rounds, administration, teaching, audit and the occasional clinic. Wednesdays – I’m in clinics and working on my research and various ventures. Thursdays – I’m in clinic all day and the occasional young adult operating list. Fridays – working on my various ventures. And every other waking moment, I continue to work on my various ventures… often switching on in the evenings when Silicon Valley wakes up on the West Coast! You have an impressive website and have achieved a lot to date, but how would you describe yourself in one sentence? Forever restless, always learning and juggling (not always successfully) a million things at any one time. You have had a very varied career compared to the average doctor. What drives you? Firstly, I don’t like not knowing something. I have to find out more about what I don’t know as quickly as possible. Secondly, I don’t like being a one trick pony. The minute I become competent at something, I look for the next challenge. Thirdly, I guess I’ve always been a perseverer. I hate starting something and not finishing it. I also hate having an idea and not seeing it through until it either succeeds, fails or someone else competent and interested enough adopts it as their baby. Finally, I always feel that if I’m still doing the same thing next year (let alone in ten years time) as I’m doing now, then I’m not evolving and that my specialty/business/work is not evolving either. I guess I embraced rapid change a long time ago and that fuels my drive. I always feel that if I’m still doing the same thing next year (let alone in ten years time) as I’m doing now, then I’m not evolving and that my specialty/business/work is not evolving either. What has been a career highlight to date? Probably when I became an orthopaedic consultant at a very young age. This allowed me to develop my subspecialist skills rapidly but also focus simultaneously on innovation, entrepreneurship, academia and extracurricular interests. I understand that you have a keen interest in medical history, what do you think we can learn from history in terms of innovation? Mainly that most health solutions have been explored at some point in history but now we are adding a technological layer to them. Let’s learn from the innovators in history and not repeat the same mistakes. In the NHS we live in a culture where the norm is not to pay for things. What is the key to monetising technology within the NHS, and getting it accepted into the NHS ‘family’? Firstly by finding the correct pinch point that a technological solution fits into in any given clinical pathway, then clinically validating its efficacy and cost effectiveness (and that will likely involve a clinical study in some form) and finally, convincing the commissioners that their health pounds would be better invested in this newer pathway. Yes, it’s difficult but with the right clinical partners and strategic team, it should be achievable. What role will doctors play in a world of increasing healthcare automation in the future? The same arguments have always existed in every profession or industry where automation has been introduced. Industries involving books, music, banking, retail, etc have all been affected. With the professions, it would be pointless to imagine a future where at least some elements of our profession (and all other professions) are not automated in some way. I’d hope that routine, mundane tasks can be automated so that skilled specialists can concentrate on more complex cases and on the personal, human touch with patients. I think this kind of future is inevitable and we have to embrace it. The upcoming GIANT healthcare event will bring together influential players across a number of different industries. What do you think we can learn from other industries? Great ideas are great ideas everywhere. The more we can understand the landscape of innovation across disparate industries (e.g. deep learning, blockchain, robotics, virtual/augmented/mixed reality, 3D printing and others), the more we can understand where healthcare is heading and how we can effect change and real innovation that is relevant to our patients. That is why an event like GIANT will be really exciting. Click here to buy tickets. If you could teach one week of the medical school curriculum based on your vision for the future and desire to improve healthcare, what would you ensure was on the syllabus? I would rewrite the entire process of history taking, examination, investigation, diagnosis and treatment and teach medical students reverse engineering concepts. I would scrap the history (artificial intelligence-based algorithms); scrap the physical examination (most clinical signs are meaningless and add nothing to the diagnostic process e.g. see the Stanford Medicine 25); get the right investigation performed and reported on early (deep learning – branch of machine learning that uses algorithms to ‘learn’ representations of data) and concentrate instead on the right treatment for the right patient at the right time (robotic-assisted in some cases). We need to change the way we think about how to approach a patient’s problem and shift the diagnostic and treatment process from an Oslerian/Hippocratic/dogmatic approach with archaic instruments like the stethoscope to a tech-based artificial intelligence-supported rapid solution method. Catherine qualified as a doctor with an MBCHB from University of Bristol in 2016. She holds an intercalated BA in Medical Humanities.